A Chinese high court has agreed to hear an appeal from convicted former Communist party senior Bo Xilai, according to a statement released by Jinan Intermediate People's Court. 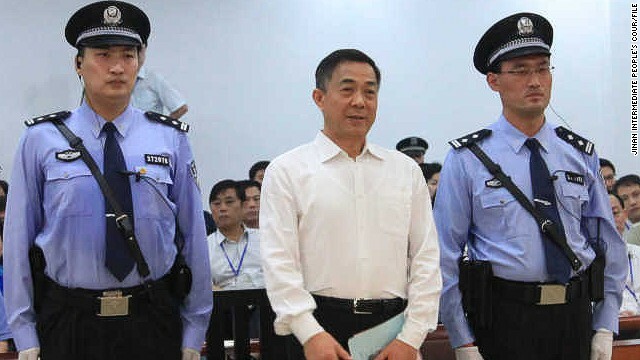 Bo Xilai was sentenced to life in prison for bribe-taking, as well as 15 years for embezzlement and seven years for abuse of power after he was convicted in September. He filed his appeal before an October 8 deadline. 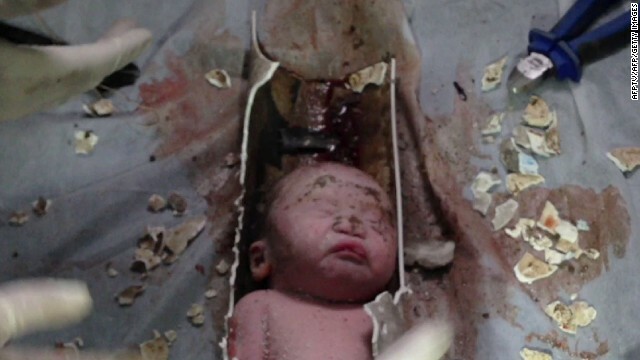 The court reviewed it and accepted, the Shandong Province Supreme People's Court said. A Beijing man who snatched a baby from a pram and hurled it to its death in an argument over a parking space was Wednesday sentenced to death by a Beijing court, according to court documents. Han Lei, 39, was charged with intentional homicide over the death of the two-year-old girl who died in hospital from brain damage 50 hours after being dashed to the pavement in the Daxing District of Beijing on July 23. A Chinese journalist jailed for eight years for leaking government restrictions on reporting is now free. Shi Tao's early release was announced by the writers' organization PEN International on Saturday - 15 months before he was scheduled to be freed. Shi made headlines in 2004 when he sent the media restrictions to a human rights group - an act that China said amounted to "leaking state secrets," PEN said. What's more: Internet giant Yahoo played a part in his conviction. In a widely criticized move, Yahoo handed over Shi's e-mail account information, which the Chinese government used in the case against Shi. The trial of fallen Chinese politician Bo Xilai resumed Friday, a day after the charismatic former top official mounted an unexpectedly resolute defense against the prosecution's accusations of bribery. Once a rising star in the upper echelons of the ruling Chinese Communist Party, Bo is now on trial on charges of bribery, embezzlement and abuse of power. His dramatic downfall - laced with tales of murder, corruption and betrayal - set off the party's biggest political crisis in decades. The trial of Bo Xilai, a former darling of the all-powerful Communist Party, will begin Thursday, China's state-run Xinhua news agency said. Authorities claim Bo abused his official state position to seek financial benefits, resulting in "huge losses to the nation and the people." China has halted imports of some New Zealand milk powders after a company disclosed that three batches of an ingredient used in sports drinks and baby formula tested positive for a strain of bacteria that causes botulism. The New Zealand-based Fonterra Group said Saturday that three batches of its whey protein tested positive for the Clostridium botulinum bacteria. Those batches weren't for use in Fonterra-branded products, but they said companies that used the whey protein in their products might issue recalls. Fonterra, the world's largest dairy exporter, said it had warned companies that bought the whey protein about the problem. "As a result, these customers are urgently investigating whether any of the affected product, which contains a strain of Clostridium, is in their supply chains," the company said. Record-breaking temperatures have been searing large swaths of China, resulting in dozens of heat-related deaths and prompting authorities to issue a national alert. People are packing into swimming pools or even taking refuge in caves amid attempts to escape the fierce temperatures. Local governments are resorting to cloud-seeding technology to try to bring rain to millions of acres of parched farmland. An early morning fire at a poultry processing plant in northeast China killed at least 112 people, state-run Xinhua news agency said. About 100 of them were able to escape - and told Xinhua that the gates to the plant were locked. 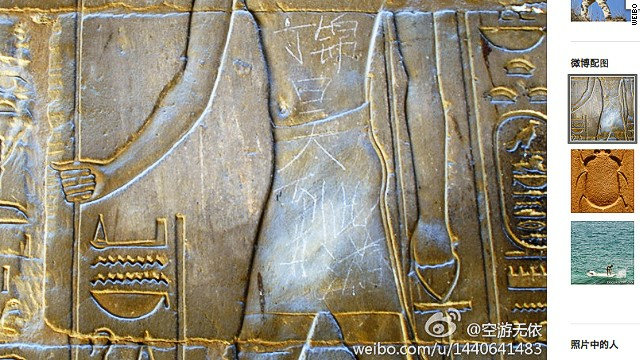 The graffiti was etched across the torso of the figure in the sculpture. The act drew ire in both Egypt and China - generating a massive online backlash amongst China's unforgiving netizens. As the death toll from China's bird flu outbreak rose to 22 with news of another victim in eastern Zhejiang Province, the World Health Organization warned the H7N9 virus was one of the most lethal that doctors and medical investigators had faced in recent years. "This is an unusually dangerous virus for humans," Keiji Fukuda, WHO's assistant director-general for health, security and the environment told a news conference in Beijing Wednesday. "We think this virus is more easily transmitted from poultry to humans than H5N1," he added, referring to the bird flu outbreak between 2004 and 2007 that claimed 332 lives. "This is definitely one of the most lethal influenza viruses that we have seen so far." [Updated at 7:40 a.m. ET] Chinese authorities have killed more than 20,000 birds from a live-poultry trading zone in Shanghai after an unusual strain of bird flu that has so far killed six people in the country was found in pigeons on sale in the city, state-run media Xinhua reported Friday. Details of the slaughter of chickens, ducks, geese and pigeons come as the city prepares to temporarily close all its live poultry markets. It wasn't clear how long the market closures - announced Friday on the Shanghai Municipal Government's microblog account - would last. [Posted at 1:27 a.m. ET] A sixth person in eastern China has died from an unusual strain of bird flu, Chinese health authorities said Friday. The H7N9 strain of bird flu had not been detected in humans before the recent Chinese cases, which authorities began reporting on Sunday. Two more people in China have died from the H7N9 bird flu virus, raising the country's death toll to five, state-run news agency Xinhua reported Thursday, citing Shanghai health officials. H7N9 is a strain of avian flu not detected in humans before China's recent cases, which the country began reporting on Sunday. Fourteen human cases of H7N9 - all in eastern China - have now been reported, according to Xinhua. The suspected cyberattack that struck South Korean banks and media companies this week didn't originate from a Chinese IP address, South Korean officials said Friday, contradicting their previous claim. The Korea Communications Commission, a South Korean regulator, said that after "detailed analysis," the IP address that was thought to be from China was determined to be an internal IP address from one of the banks that was infected by the malicious code.